The Helping House is a 501(c)3 Chairitable organization that provides early intervention services to children with diagnosis of Autism. 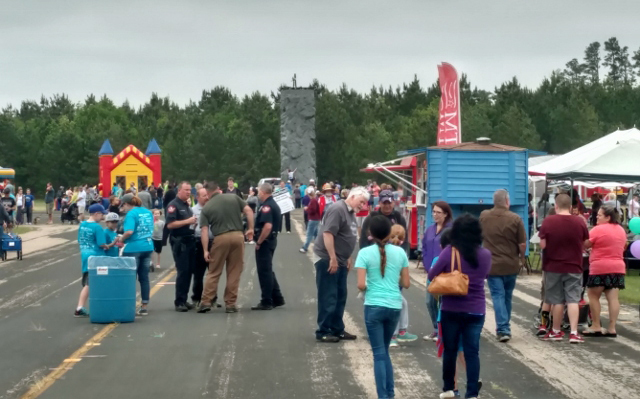 They serve several communities in the East Texas Area. 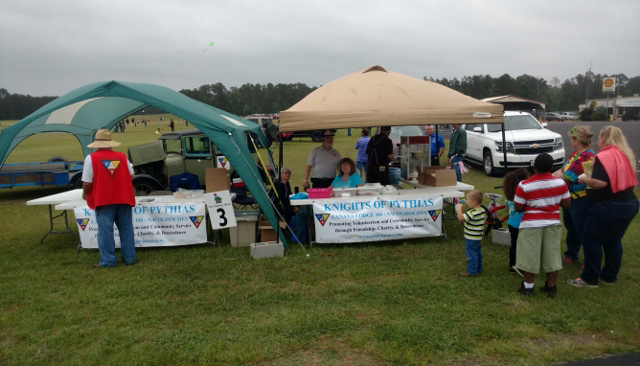 On April 17, 2016, Knights of Pythias, Lanana #106, with the assistance of members of Pythian Sisters Temple #113, participated for the third time in the Helping House Annual Kite Festival. 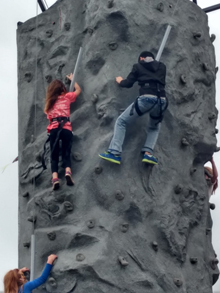 As part of our participation, we rented the climbing wall for the entertainment of the children. We set up a booth where we gave away popcorn, kite-shaped lollipops and "Be Careful Lulu" safety/activity books, secured from the Texas Municipal Courts Education Center for us to distribute to interested parties. Then to finish the day, we gave away a girl's and boy's bicycle and helmets to the winning ticket-holders. 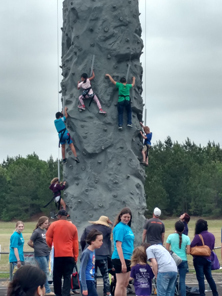 Kite Festival Midway with climbing wall in background. 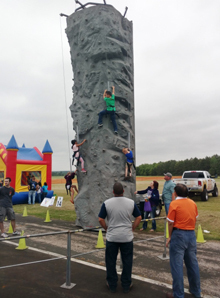 Climbing wall provided by Lanana #106, Knights of Pythias for 2016 Helping House Kite Festival.